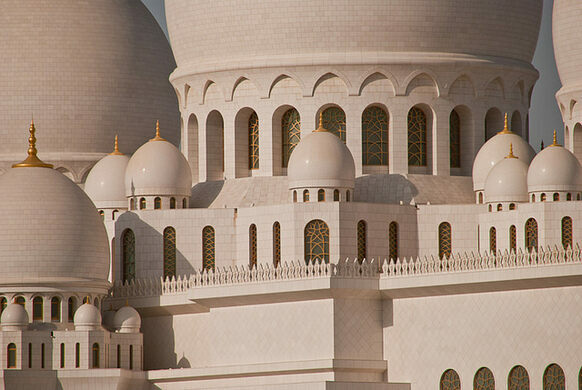 Sheikh Zayed bin Sultan Al Nahyan is often called the father of the United Arab Emirates. 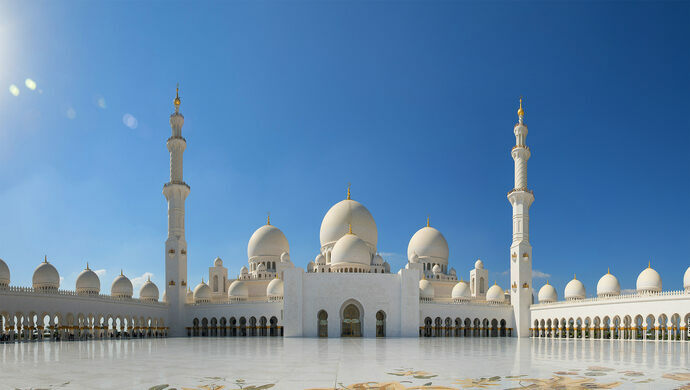 As the first president of the country, he worked to push the UAE into the modern world, and was caught in a crossfire between modernity and tradition throughout his reign. 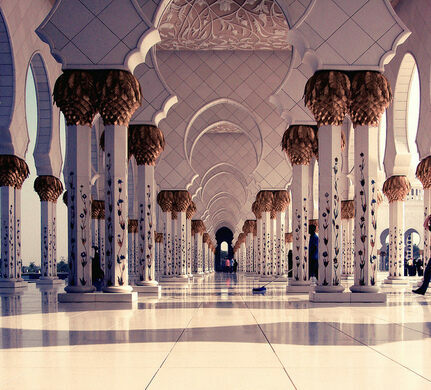 As a lasting monument to his struggle, he began building the Grand Mosque in 1996. 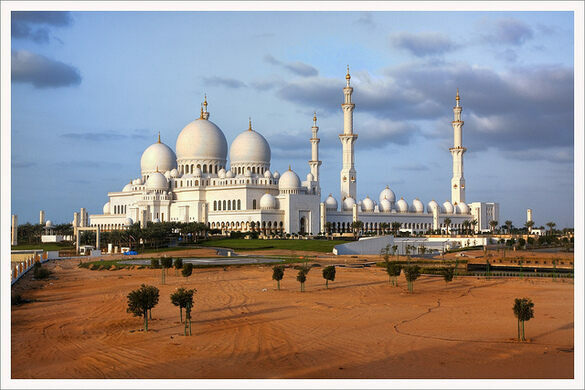 Sheikh Zayed died in 2004 and was buried on the grounds of the mosque. 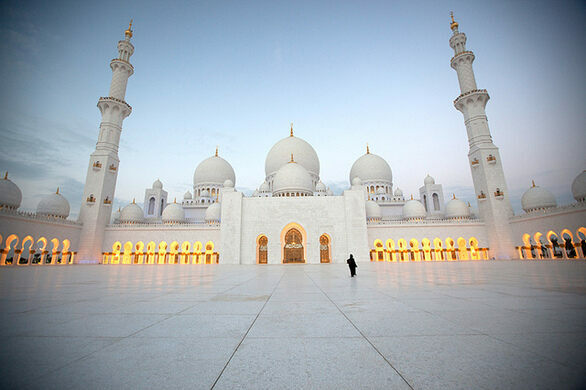 Three years later, the impressive building that had cost $545 million to create, finally opened its doors to the public. 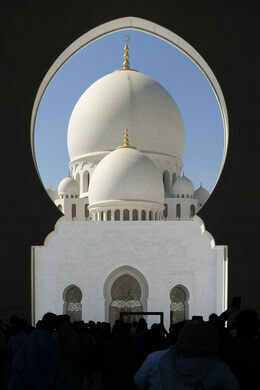 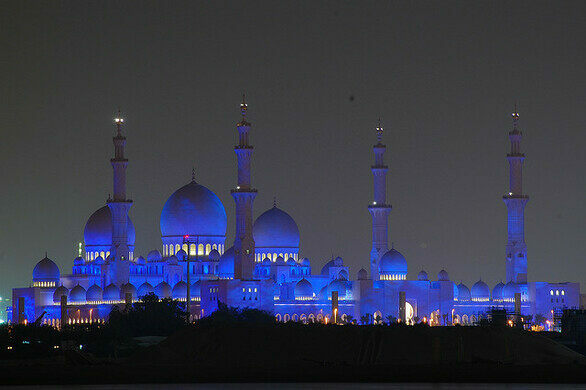 With a capacity for 40,000 worshippers, it is one of the largest mosques in the world. 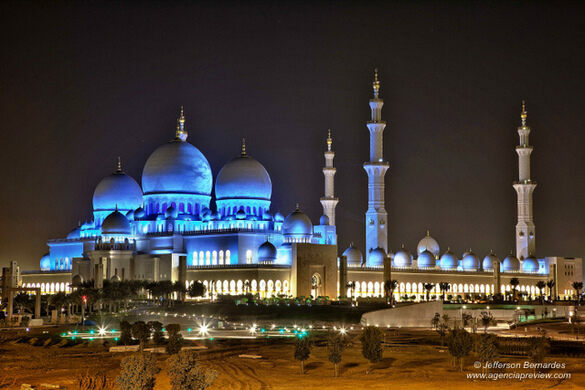 However, its size alone is not its most amazing characteristic. 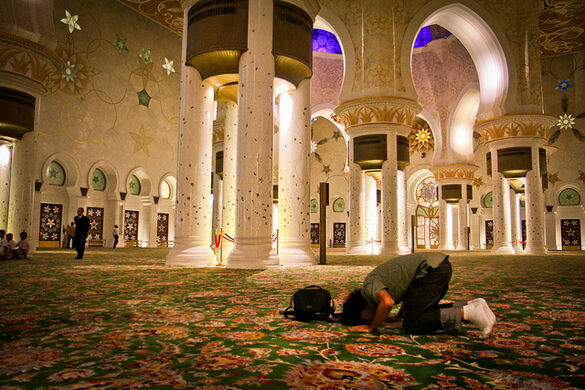 Inside the prayer hall is the world’s largest carpet, weighing in at 35 tons and covering 60,000 square feet. 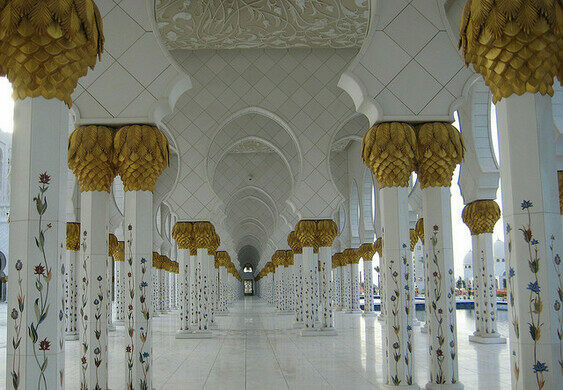 With over 2.3 billion knots, the carpet represents the grand effort of the mosque. 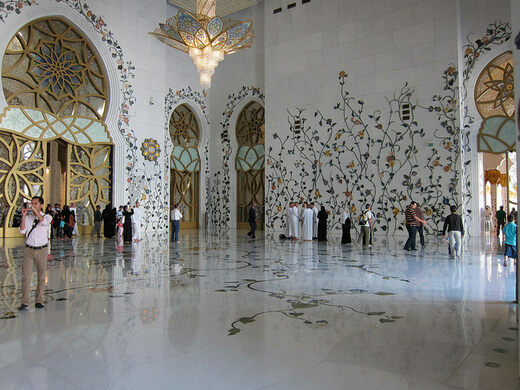 The prayer room also features a number of massive chandeliers bedecked in Swarovski crystals. 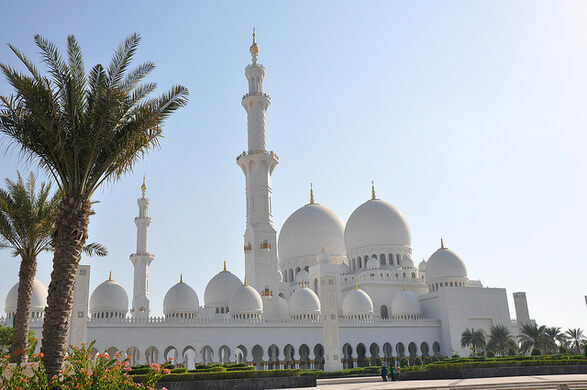 Attracting more than just worshippers, the mosque has continued the fight of Sheikh Zayed between the modern world and traditions.